This article is part of our special report What’s next for European socialism?. Speaking in the European Parliament yesterday in Brussels, the EU High Representative also attacked Realpolitik and pointed out that being tough for the sake of being tough is often a sign of weakness. As far as European security and defence is concerned, she said it had nothing to do with militarising the continent but rather a means of getting strategic autonomy from others, and ensuring better military spending. “Military force is needed sometimes but for us Europeans it’s never, never, never, the solution alone,” she said, emphasising the need for diplomacy, and patience of mediation. According to Mogherini, the international order is going through challenging times and she urged Europeans to be courageous and express their own ideas in order to change things. 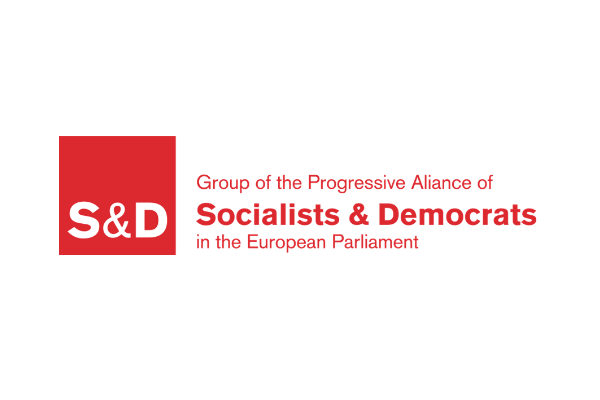 Mogherini was speaking at the “Building the progressive future together” event organised by the Socialists and Democrats (S&D) group in the Parliament. In her speech, she mentioned three times the need to avoid “isolation” in international politics, highlighting the need to promote the “European way”. “There is an alternative to the foreign policy of isolation, fear, protectionism and confrontation, and this is the European way,” she said. The European way, according to Mogherini, is made of cooperation and partnership, respect for international law and standards of multilateralism as well as a constant search for win-win solutions. The EU foreign policy chief noted that there was nothing wrong in being idealistic particularly in these times of “cynical Realpolitik”, reiterating that the solution of our times will never come with isolation. “There is only one global power today that is credible, reliable and predictable for the rest of the world and not only to its citizens – and this is the EU,” she said amid applause. At a moment when the UN is under attack, the EU is the strongest and most reliable supporter of effective multilateralism, Mogherini continued. She expressed her full support for UN Secretary-General Antonio Guterres and added that the EU cannot be better off if the rest of the world is not. “We are all connected,” she said. She explained that Socialists and Democrats understand the value of UNESCO in order to protect Europe’s heritage in conflict, history and memory. 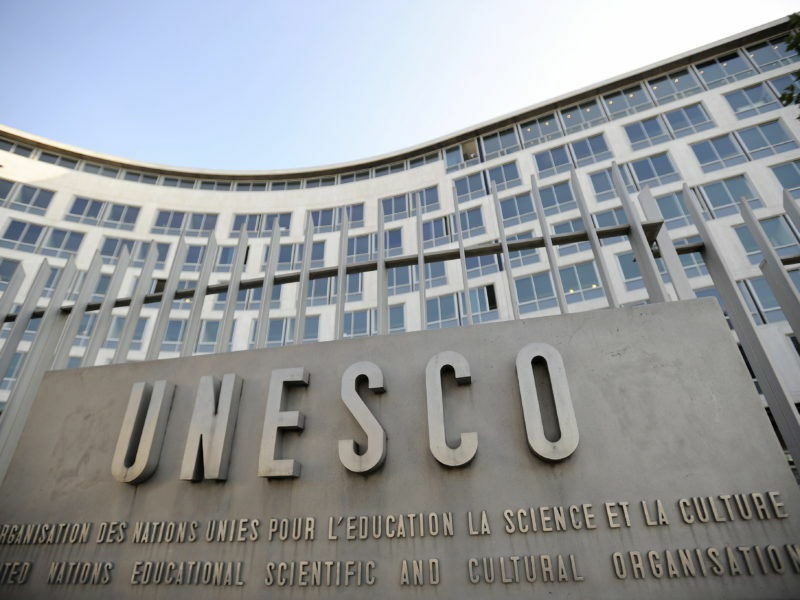 Last week, the US and Israel decided to pull out of the world heritage body over its “anti-Israel bias”. The United States and its ally Israel said yesterday (12 October) they were pulling out of the UN’s culture and education body in a move that underlined Washington’s drift away from international institutions. Trump has been a long-standing critic of the UN. During his election campaign in 2016, he complained that the United States were contributing a disproportionate amount of money to the New-York based international organisation. During his first speech at the UN in September, the US President strongly criticised the UN, saying it had not reached its full potential because of bureaucracy and mismanagement. “The United Nations must hold every level of management accountable, protect whistleblowers and focus on results rather than on process,” Trump said, stressing that the organisation needed reform. UN Secretary-General Guterres seemed to accept some of the criticism. “Our shared objective is a 21st century UN focused more on people and less on the process,” he replied. On Monday (16 October) Trump reiterated his threat to fully withdraw the US from the Iran nuclear deal reached in 2015 with the EU as a mediator. Referring to the deal, Mogherini said that Europe honors it and defended its achievements. “We managed to put in place an effective monitoring system to make sure that Iran’s nuclear programme will only have peaceful purposes”. She explained that the International Atomic Energy Agency (IAEA) has conducted plenty of inspections and said that Iran has complied with all its commitments. “It is a deal that prevented a nuclear arms race in the Middle East, next to us. That brought security in the region and to young people in the country. That was the European way and it was thanks to us because we were the mediator,” she said. “In today’s world where everything is going wrong it’s not possible to dismantle the single agreement that works,” she emphasised. Mogherini also noted that Europe was not naïve but does politics with a smile. “Some will believe that strength in foreign policy means scrapping rules and agreements and move alone in isolation against the others. That being strong means being tough. “Let me tell you, sometimes you need more strength to smile than to shout. The real strength lies in creating a space for dialogue and win-win solutions in building your partnerships and listening,” Mogherini said, adding that being tough for the sake of being tough is often “a sign of weakness”. Europe will give fresh backing to the Iran nuclear deal on Monday (16 October) after US President Donald Trump threatened to tear it up in a belligerent speech that alarmed allies across the Atlantic. In her speech, the EU official also drew attention to the new EU-Africa partnership, stressing it had entered a new era. Mogherini referred to the EU’s External Investment Plan, which was adopted in September with the aim of boosting investments in the African region. “It is a win-win situation for the European private sector and EU and African citizens,” she said. Regarding immigration, Mogherini said it was not a phenomenon to stop but to manage. “If all migrants would disappear in Europe today, entire sectors of our economy would collapse tomorrow morning,” she said, adding that this does not mean fences but a partnership to work in a humane way to manage the phenomenon together, with NGOs, the states and UN agencies. 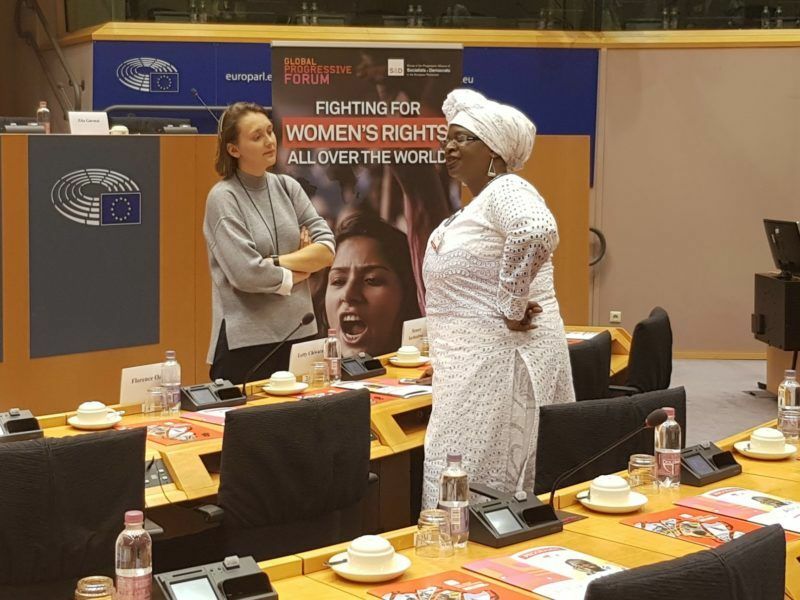 Violence against women and girls is the root cause of discrimination and disempowerment, and this is not only about Africa, speakers insisted yesterday (26 September) at a conference on “Political Empowerment of Women in Africa and in Europe”. Would you rather have Xi’s censorship of the internet along with China’s mafia-like government?? Or declarations like the one he made a few days ago “An army is for fighting.” Thanks but NO thanks. 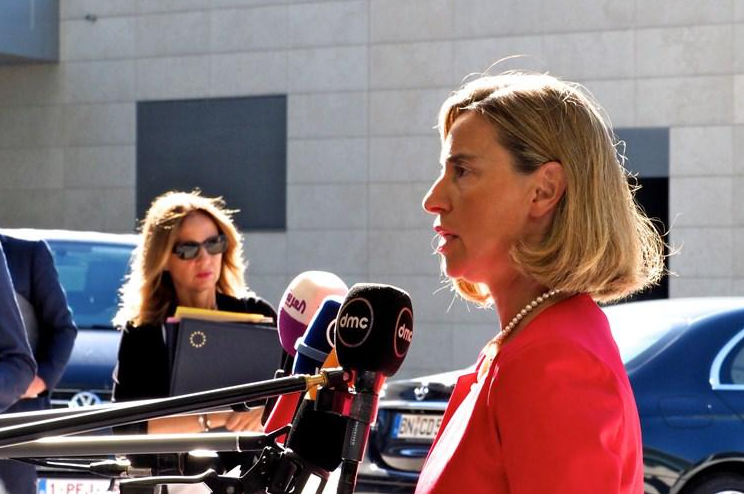 Ms. Mogherini’s humorously overwrought statement, “Military force is needed sometimes but for us Europeans it’s never, never, never, the solution alone” is so ridiculous, that she denies herself credibility. The selective memory she employed to attempt the moral high ground fails completely as she chose to ignore the ongoing relevance of countless European internecine conflicts, especially when it has drawn in the rest of the world and the still-present scars from far too many European-initiated wars of colonial conquest. With those facts in mind, she, as a European representative, is simply not in a position to lecture any other sovereign entity about a better way to conduct international affairs. More to the fact, before she would think to comment again, she appears to be first in need of a few basic history lessons and a large dose of humility. Mogherini’s misguided bluster also betrays an irritation with Trump’s stated policy of “America First” as pertains to trade and foreign policy. Putting ones country first in the context of such considerations is hardly anything new. It is and always has been the basis of diplomatic negotiation between nations. Her feigned ignorance of this point of view amounts to crocodile tears. 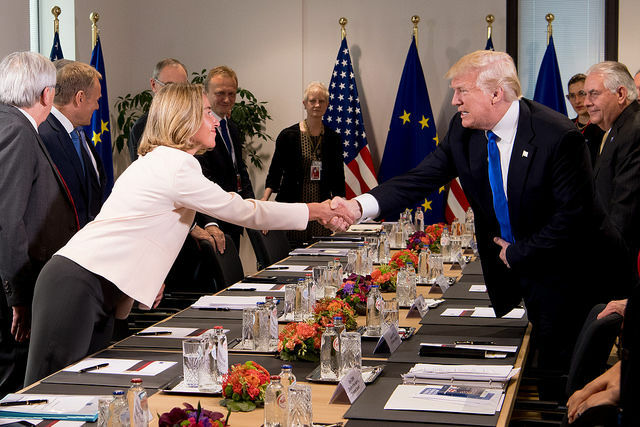 However, it is especially Mogherini’s straw-man argument that Trump’s rejection of the current status quo would reflexively equate to isolationism and protectionism that paints her as an inexperienced political hack. The US will continue to be engaged internationally. However, there is a growing sense in the US that the existing order is and has been in need of considerable adjustment. Whatever else one might think of Donald Trump, he is, as President of the United States, among his other duties, obligated to bring US grievances to the table. This would include discussions of the root causes of unsustainable and unfair trade imbalances, concerns with the operating structure of the UN and the failure of some European countries to honor their financial obligations as signatory member states of NATO.